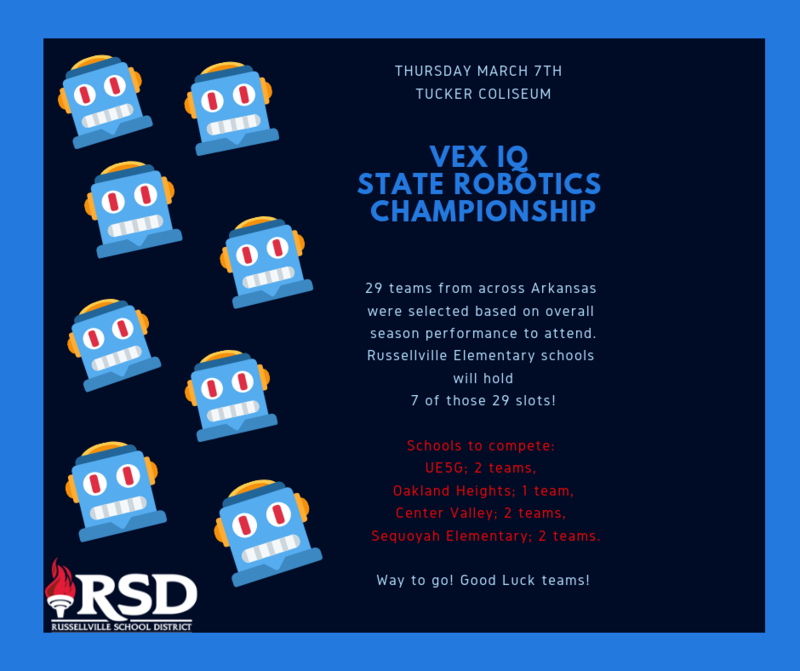 The Vex IQ State Robotics Championship will be held on March 7, 2019 at Arkansas Tech University's Tucker Coliseum. There are 29 teams from across Arkansas selected based on their season performance to attend the state tournament. Russellville Schools will hold 7 of those 29 slots, nearly one fourth of the field! 'This is a great accomplishment for Russellville's Elementary Robotics program,' says Mr. Brad Beatty, Assistant Principal for Sequoyah Elementary school. Congratulations on all your hard work, and good luck to all of our students!